Silk Road Media and Hertfordshire Press (Great Britain) announced the new deadline for the Second International Open Central Asia Book Forum & Literature Festival 2013, Silk Road Media reports. For international authors and publishers, OCABF is the perfect opportunity to share their experiences and thoughts. For regional authors, it is a great stage on which to promote their own ideas, meet their current and future readers and of course exchange experiences with their colleagues from all over the world. Contest entries might be send by October 1, 2013. The winners of the contest will be announced on the Literature Festival on November 8-9, at the Yunus Emre Cultural Centre in London. The contest consists of three categories, including literary work (written piece), translation, and illustration. Anyone can participate, irrespective of age or gender. Entries may be submitted in any Central Asian language, Russian or English. The Open Central Asia book forum & Literature Festival 2013 will continue the established traditions of the first Book Forum and Literature Festival, which was held in Bishkek, Kyrgyzstan on November 24-25, 2012. This event was held for the first time since Kyrgyzstan became independent and gathered nearly 1,300 participants, including well-known writers, Yanush Vishnevsky (Poland), Elchin Safarli (Azerbaijan), Hamid Ismailov (Great Britain and Uzbekistan). Based on the experience in 2012, Central Asian countries showed a great interest in writing. Over 140 authors from 12 countries (Central Asian countries, Russia, Great Britain, Canada, USA, Mozambique, Turkey, Bulgaria, Georgia) took part in 2012 contest. 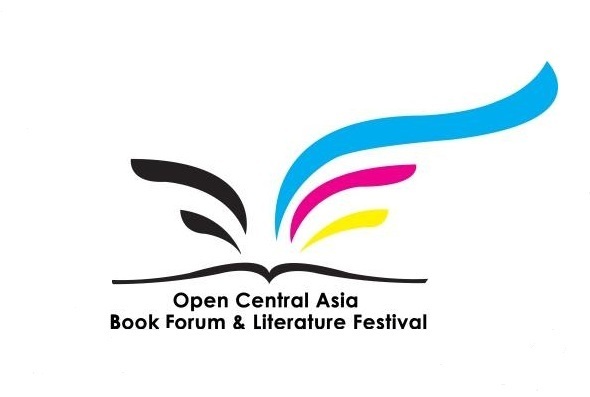 Open Central Asia book forum & Literature Festival 2013 is the chance to discover famous authors and newcomers to writing from Central Asia, Great Britain and many other countries. OCABF will expand literary connections among the countries, offer new opportunities for the authors, readers, specialists and all concerned in developing literature and culture in their homelands and abroad. Members of the contest committee and the jury accepted and considered participants' entries for several months. The names of the winners were announced at the closing ceremony of OCABF 2012: the winner of the Illustration category - Aigul Khakimjanova (Kazakhstan), the winner of the Translation category - Zina Karaeva (Kyrgyzstan), and the winner of the Literary work became Galina Dolgaya (Uzbekistan). The prize fund of OCABF 2012 was $15,000, which allowed Galina Dolgaya to publish her book in Great Britain and to visit one of the biggest book fairs in the world - London Book Fair 2013, with Zina Karaeva.